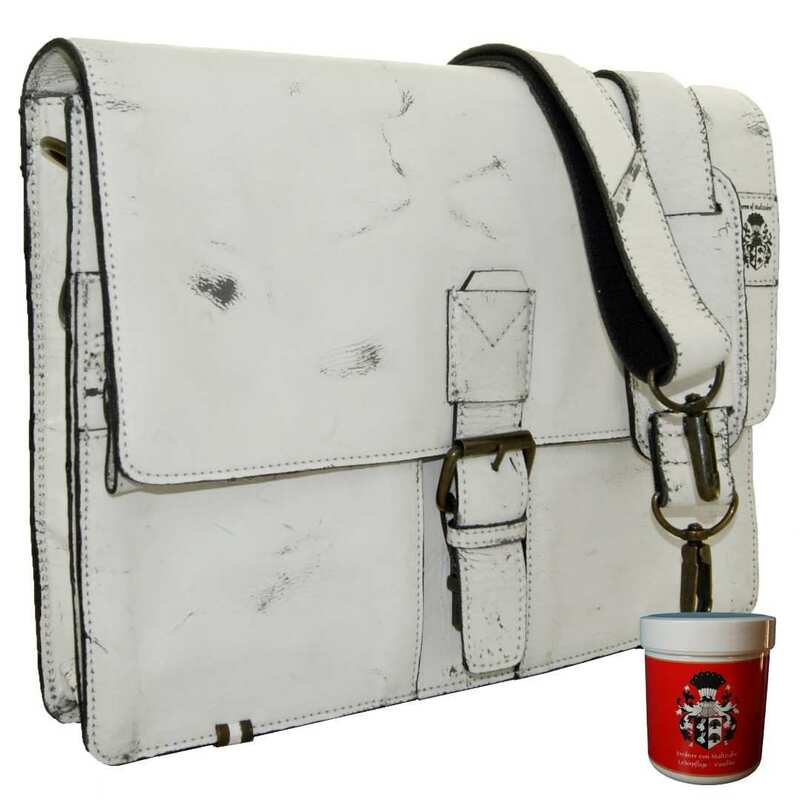 Product information "Portfolio bag SPARTACUS of dusty-white leather"
The valuable portfolio bag SPARTACUS of dusty-white leather is the ideal briefcase for a day at college or at work and provides enough space for all items you need on a daily basis. There are some items that we often need at the office or at college like a tablet computer, a calendar, stationery, notepads and Co. In order to avoid dog’s-eared documents and to protect your laptop, you surely need a proper bag that also provides much space for all mentioned items. 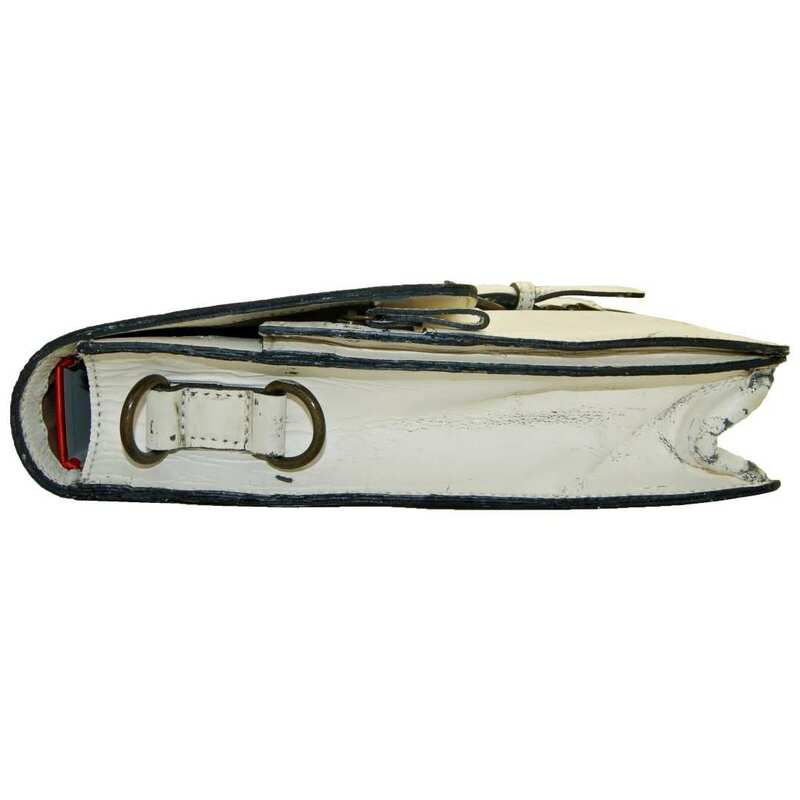 The stylish and valuable portfolio bag of white leather is the ideal briefcase! This accessory is especially elegant and sturdy and gives the possibility of transporting every single object safely and finding everything immediately. 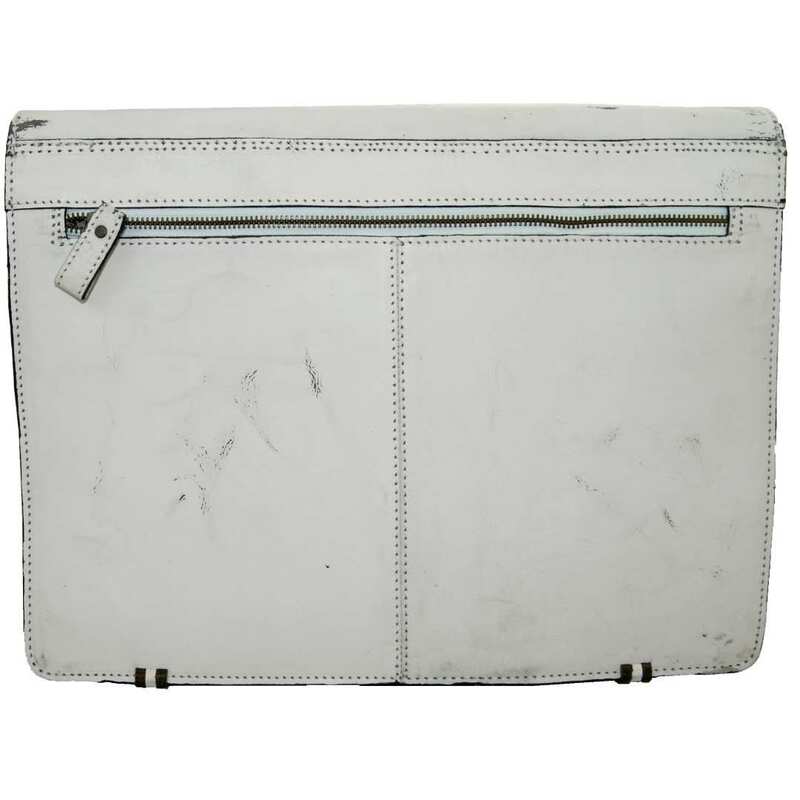 The portfolio bag of dusty-white leather has a total size of 14.2 x 2.4 x 11 in (36x6x28 cm) and provides many storage options like one big main compartment, four front pockets and two zippered sections as well as further inner pockets for smaller items such as pens, etc. This big white briefcase is also ideal for a laptop and other important personal belongings like a smartphone, keys and a wallet. 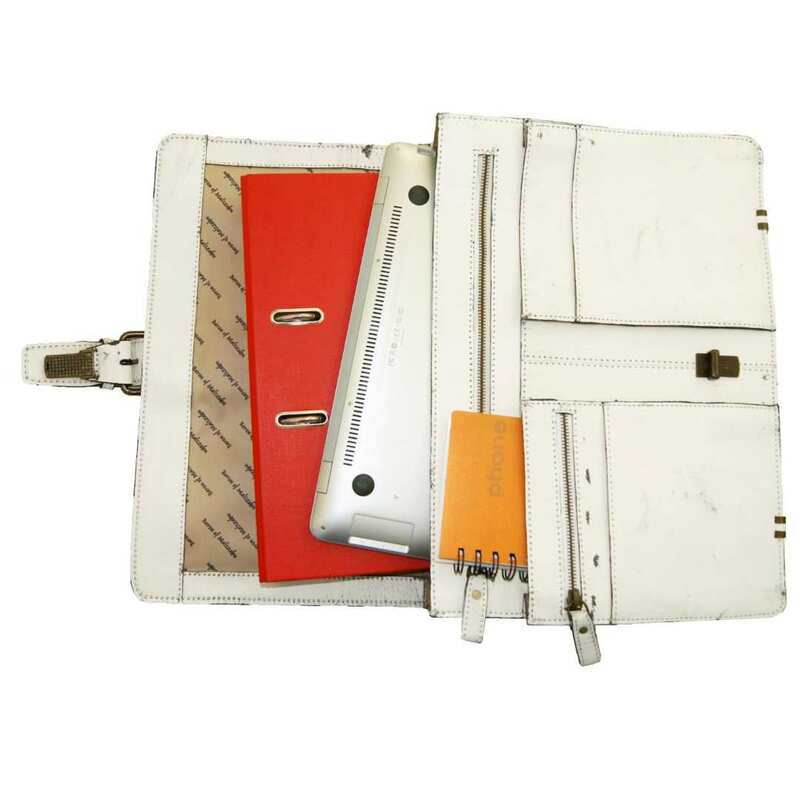 Thanks to the great arrangement of this white leather portfolio bag, you will be able to reach every single item quickly. This case of antique leather is something really special, not only because of the valuable cowhide, but also because of its exclusive production. 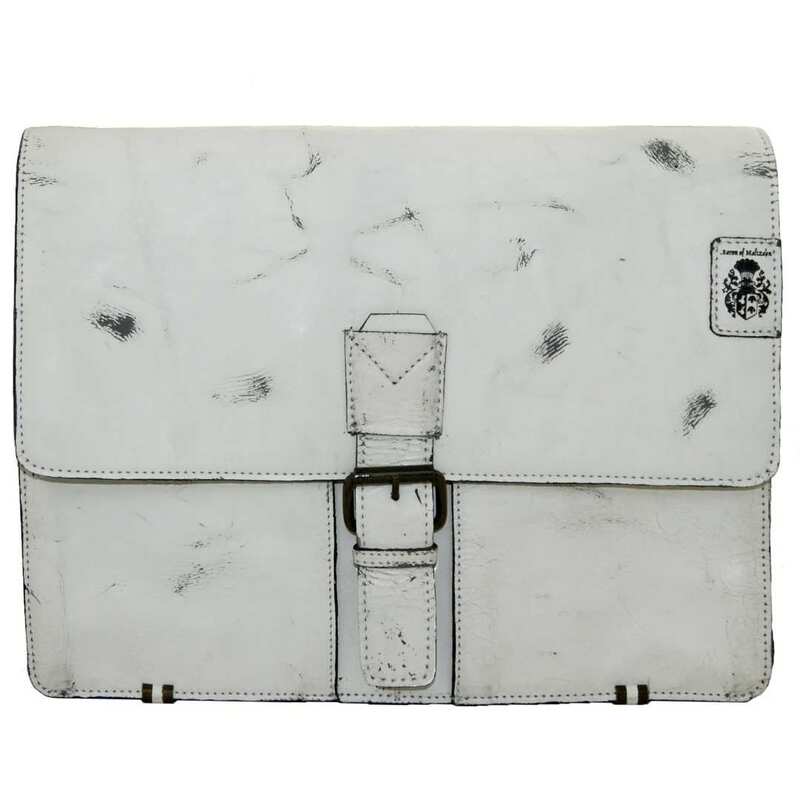 For these reasons, the white college briefcase is a true eye-catcher! Let yourself get convinced with the excellent combination of style, design and functionality and order now the fantastic dusty-white leather portfolio bag. 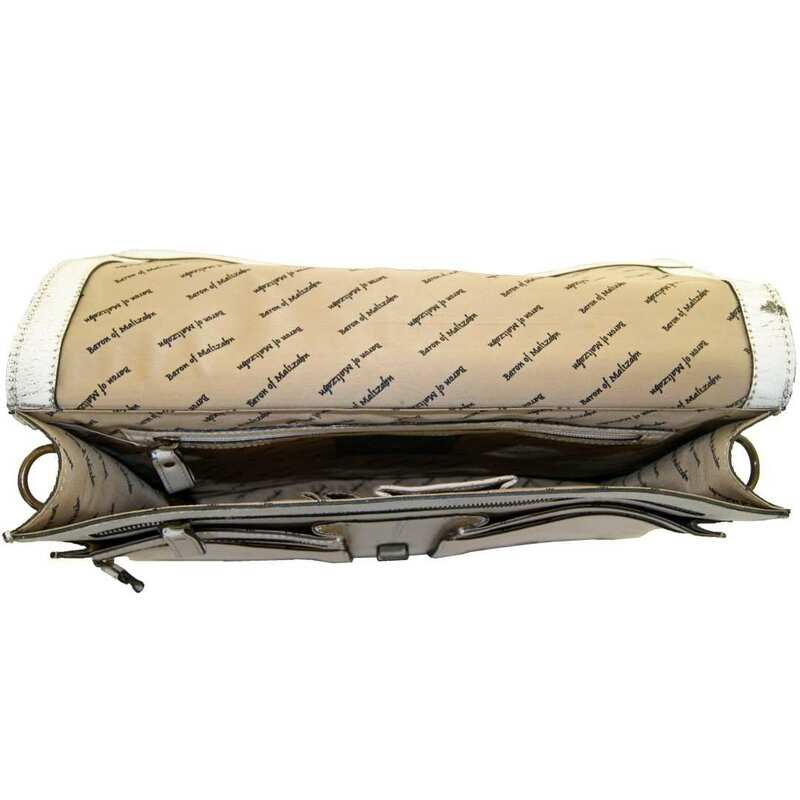 Reviews for "Portfolio bag SPARTACUS of dusty-white leather"